Disinfecting your home with natural, non-toxic cleaners may sound like an overwhelming task, but it’s actually surprisingly simple. In fact, the majority of naturally antibacterial disinfectants can be found right in your kitchen and at a fraction of the cost of those harsh chemical cleaners. Natural cleaners are not only better for your health but are safer for children, animals, and the environment. Keep your home spick-and-span with these hardworking ingredients found right in your pantry. 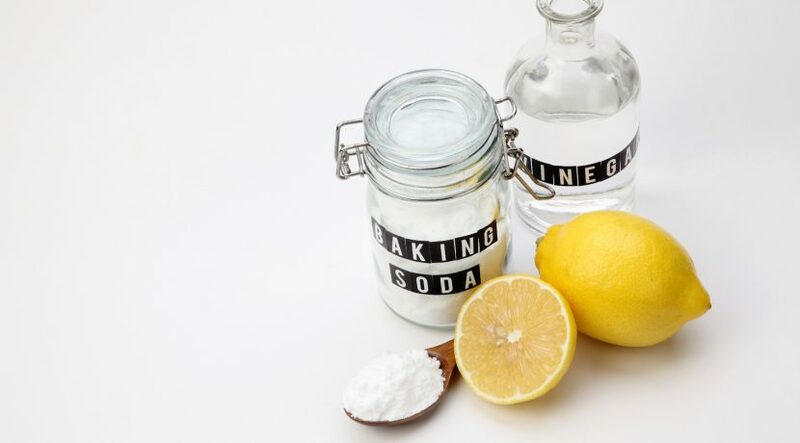 Made from acetic acid and water, white vinegar is a power cleaner—easily cutting through grease and removing mildew, odors, stains, and wax buildup. Thanks to its high acidity, white vinegar reduces surface bacteria, making it a safe alternative to bleach. In a 1994 study by the Journal of Environmental Health, vinegar was found to reduce the amount of bacteria on a hard surface, although it was less effective than commercial cleaners. Vinegar will work for those who value a safe cleaning method and want to rid their homes of harmful chemicals, but it won’t leave surfaces completely bacteria-free. Because most vodka is 80 proof, or 40 percent alcohol by volume, it can be used as a disinfectant to remove mold and mildew. Like vinegar, vodka degreases, removes stains, shines fixtures, and refreshes fabric—but without the lingering sour odor. For the most antibacterial power, look for 100-proof vodka (as most store-bought hand sanitizers contain at least 60 percent alcohol), and let it sit for a few minutes so the alcohol can do its job. 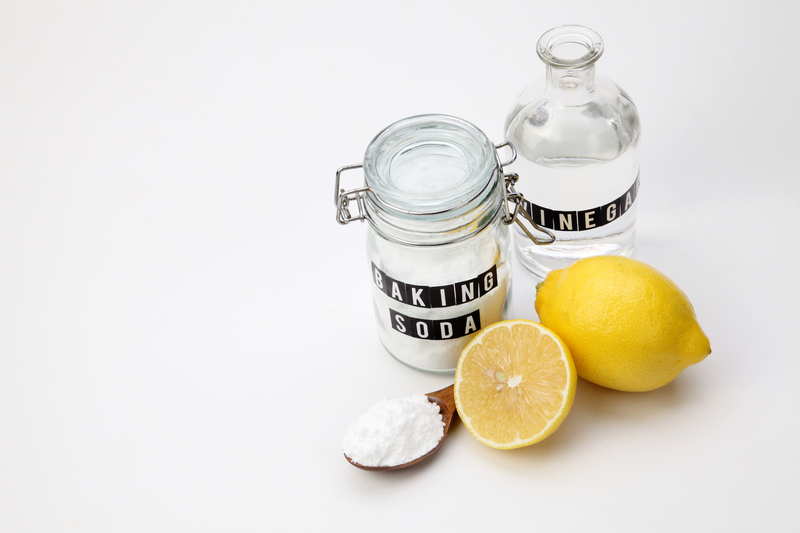 The citric acid in lemons works wonderfully on alkaline stains like soap scum found in bathrooms and kitchens. Lemons can also be used to sanitize non-porous surfaces and shine oxidized metal (hint: use it to make old copper pots and pans sparkle). In the same study mentioned above, lemon also worked to reduce bacteria on hard surfaces, but was less effective than both vinegar and commercial cleaners. Although lemon is less effective than vinegar, it certainly wins in the scent department. If you ever got a cut on the playground as a kid, you may already know the familiar sting of hydrogen peroxide in action. Since the 1920s, hydrogen peroxide has been used as an antiseptic on cuts because of its abilities to kill bacteria by breaking down cell walls. It can also be used to kill mold and remove stains on white clothing. Caution should be taken when cleaning with hydrogen peroxide, as it will bleach colorful fibers and etch the surface of stone over time. Versatile and great smelling, essential oils have a wide range of medicinal and healing properties. It comes as no surprise that they are also quite powerful agents against bacteria and fungus. When added to vodka or a solution of soap and water, some essential oils can enhance the cleaning properties, helping rid your home of mold, mildew, and musty smells. There are a bunch of bacteria-fighting essential oils to choose from, particularly tea tree, citronella, geranium, lemongrass, orange, and patchouli. Currently, scientists are still studying essential oils’ bacteria-fighting abilities, including its potential use as an antibiotic. The simple combination of water and heat makes for the ultimate economical and chemical-free disinfectant. When heated to at least 200 degrees Fahrenheit, steam not only eliminates tough stuck-on stains and grease, but can also sanitize both hard and soft surfaces. While steaming may be a slower process—sometimes taking up to 20 seconds to fully sanitize one area—If used properly, steam is capable of removing bacteria, germs, dust mites, and other pathogens. With its roots in the Castile region of Spain, Castile soap, once made from olive oil, is now often made from a blend of vegetable oils. Quick to lather, a drop of Castile soap is all that’s needed to get dishes, bathtubs, or just about any surface squeaky clean. While the soap generally isn’t antibacterial on its own, Dr. Bronner’s recommends a homemade solution that adds tea tree essential oil to make your own naturally bacteria-fighting cleanser.